NEW YORK (Reuters) - A new normal is taking root in U.S. stock markets, and the word that best sums it up starts with a "V". This year's regular bouts of volatility mark a sharp departure from 2017 when daily stock gyrations plunged to a multi-decade low. Indeed, the S&P 500 Index is on pace for its most volatile year since 2015, Refinitiv data showed. Concerns about the outcome of a meeting between U.S. President Donald Trump and Chinese President Xi Jinping at next week's G20 summit and how it might affect the outlook for Sino-U.S. trade relations is the latest worry to be playing on options traders' minds. "We have had abnormally positive conditions for the last three, five, seven years," said Richard Selvala, chief executive at Harvest Volatility Management LLC, in New York. "We are transitioning to more normal conditions," he said. For the last six weeks, the Cboe Volatility Index, Wall Street's so-called "fear gauge," has largely stayed above 20, a level associated with heightened expectation for near-term volatility. Asset managers or institutional players, leveraged funds and other traders, who together are described as the 'buy-side,' are now net long 11,441 contracts, according to U.S. Commodity Futures Trading Commission positioning data through Nov. 13. That's a sharp change from early October when they were net short nearly 90,000 contracts. "It's been absolutely huge," said Ilya Feygin, senior strategist at WallachBeth Capital, referring to the demand for defensive contracts on the S&P 500. "Clearly there was a lot of hedging with puts," said Feygin. An index put option gives the holder the right to sell the value of an underlying index at a fixed level in the future, thereby offering protection against declines in the index. Calls convey the opposite right. 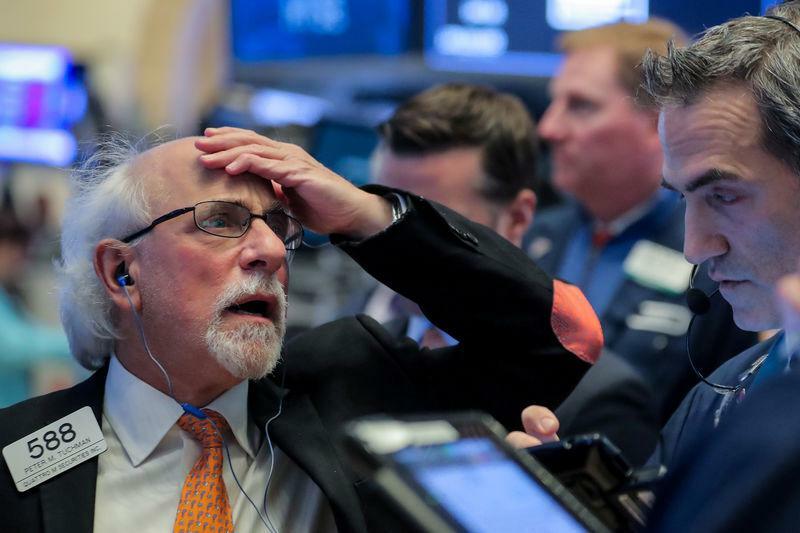 "There is risk for a large up move and a down move right now, more so than normally, because of tariffs, especially around the G20 summit," said Vinay Viswanathan, a derivatives strategist for Macro Risk Advisors in New York. "People are betting action could come in either direction," said Viswanathan.